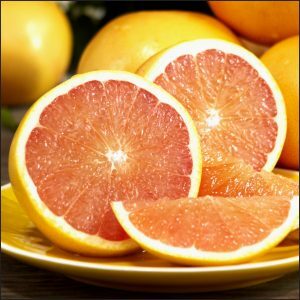 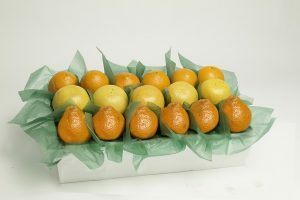 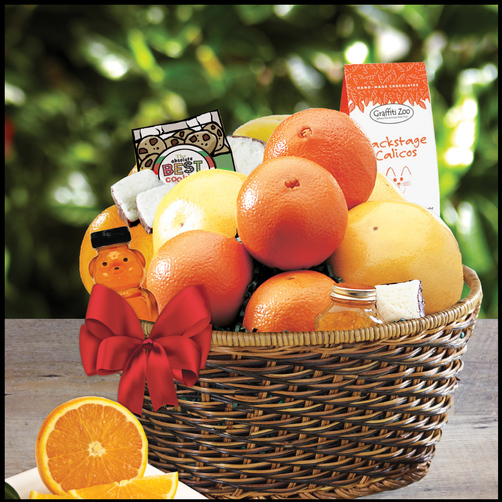 This basket is filled from bottom to top with grove fresh Oranges and Ruby Red Grapefruit. 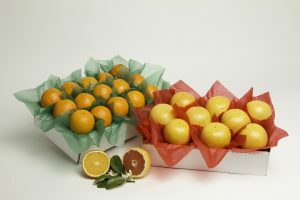 Then we add Chocolate Dipped Coconut Patties, Orange Marmalade, Oranges Blossom Honey, Chocolate Chip Cookies, Gourmet Chocolates and Fruit Candies. 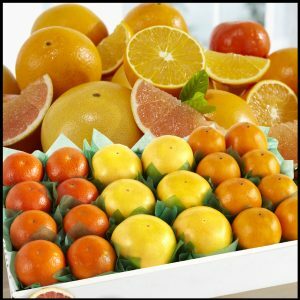 A delicious assortment of Florida’s finest taste treats.